In our chat with Peter Krasilovsky, the leading expert on new media and local digital services, we discuss the impact of key technology trends such as big data, mobile and location advertising on small businesses. While assessing the new technologies, we also go back to the basics – Peter talks about the fundamental strategies that are essential for small business success. 1. Every one seems to be talking about “big data for small businesses”, however there’s a reason big data has held its ground mainly among big corporations. Do you think data will become an inherent part of small businesses in the years to come? How can small businesses simplify data insights to improve their business strategy? P.K: Most small businesses are not focused on analyzing their customer base. It is all done by feel. But they are also frustrated at their inability to track the effectiveness of their advertising. They are typically using six different advertising channels, and have no idea where their customers are coming from! A good analytics program will help them understand how they are found by their customers; how their customers interact with them online; and point them in the right direction in terms of marketing spend. 2. How can small businesses use mobile marketing to attract local customers? Do you think mobile marketing will begin to see more traction among small businesses in 2016? P.K: Mobile marketing is becoming much more the norm, but is still not widely activated by consumers, or sold by digital marketers. If used correctly, it could be a tremendous boon for both customers seeking deals and information; and businesses looking for more revenue and frequency. If prospects and/or customers are nearby (and provide permission), we are looking at an environment in which they can be geo-targeted based on what they are doing (i.e. going to a ballgame or out to lunch), and sent specially tailored advertising and promotions. There is no better way to get a buyer in the right context. 3. Free WiFi has grown so rapidly among local businesses including cafes, restaurants and bars. What do you think of WiFi’s role in serving real time mobile coupons and rewards? P.K: Location-hosted WiFi can be enormously effective in targeting customers for sales within the location, and nearby. Customers can be targeted demographically and psychographically based on the type of location (i.e. an Internet cafe, coffee shop or night club or salon). Right now, it is not very developed in the U.S. WiFi is generally provided by national networks; at airports; or individual locations that have not affiliated with a specific service. But there are great opportunities in many developing countries. 4. If I were to open a local shop today, what are the 3 marketing initiatives I must deploy to attract more traffic and increase awareness? What are some of the technologies that can help a small business get the right push post launch? P.K: 1. Google Juice. Prepare your Web activities to optimize your Google search ranking. Focus on SEO, videos, online reviews and content marketing. 2. Keep your business listings up to date. One of the biggest problems for SMBs today is that they don’t have up to date listings information. This is especially a problem for multi store locations. Today’s enhanced listings providers enable you to not only keep your business listings info up to date across the board, but map information, pictures and even menus. 3. Mobile optimization. The world is going mobile. Make sure your website and related materials are easily read on iOS and Android mobile devices. Only 34 percent of SMBs have a mobile optimized site today. 5. The local business industry is highly competitive. 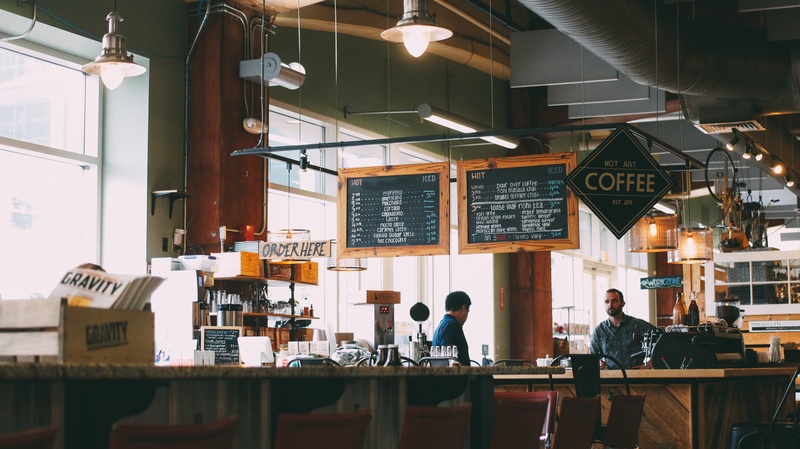 For example, a cool, new café or restaurant today can be adversely affected by rising competition tomorrow. What advice would you have for businesses to sustain their competitive advantage, as they grow and mature? P.K: Engage, engage, engage. Aggressively curate your customer lists and keep customers engaged with social media, promotions and special offers.